Discovering ancient regions. 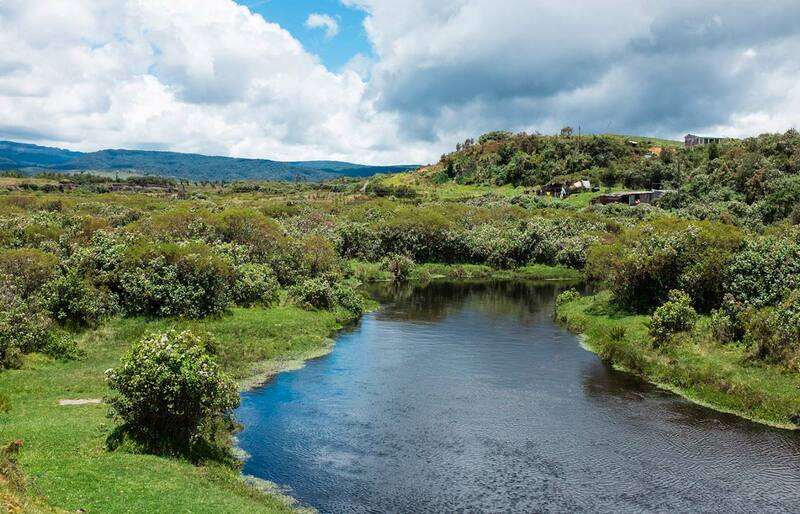 Through mountain passes, a desert, a river and a volcano. 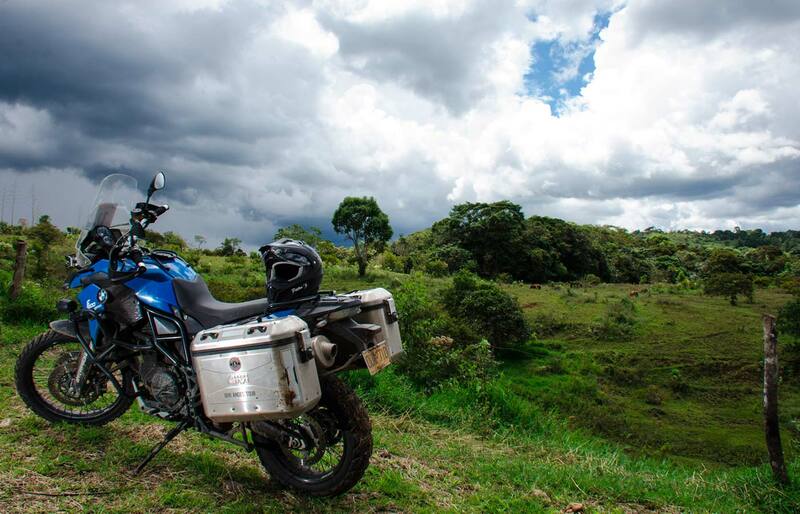 8 days riding adventure. 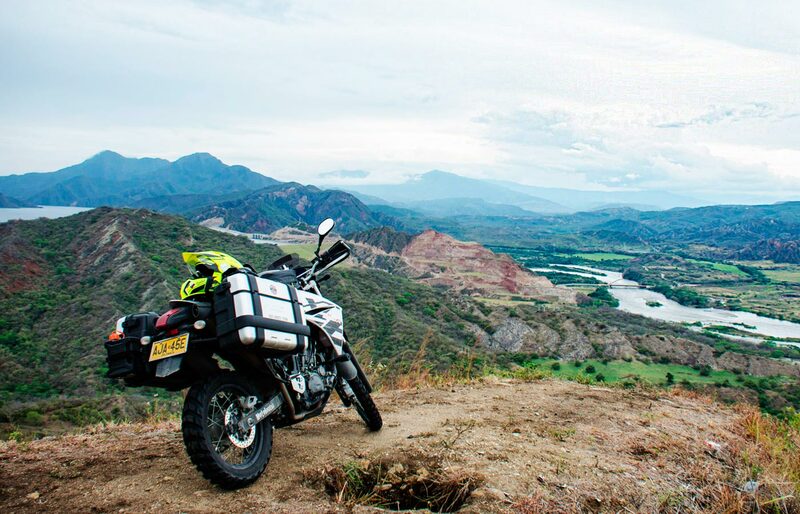 The GIVI ANDES TOUR led us in the regions of the Central and South Colombian Andes, in 8 fantastic days of motorbike adventure from 10 to 18 September 2016. 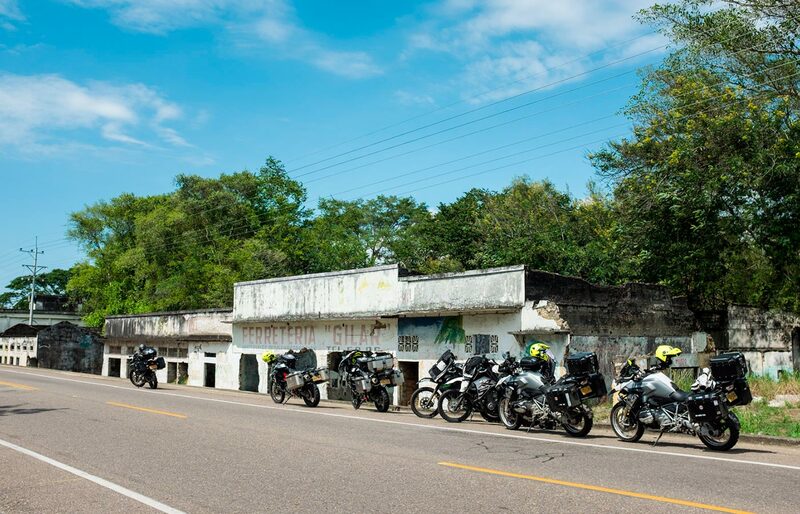 Discover all the stages of this 1,500km-long trip, with breathtaking and ever-changing scenery, alternative off-road routes and scenic asphalt roads, all curves, mountain passes up to 4,200m altitude and deserts, with a temperature range between 12 and 40°C. It has been a journey through space, time and nature. 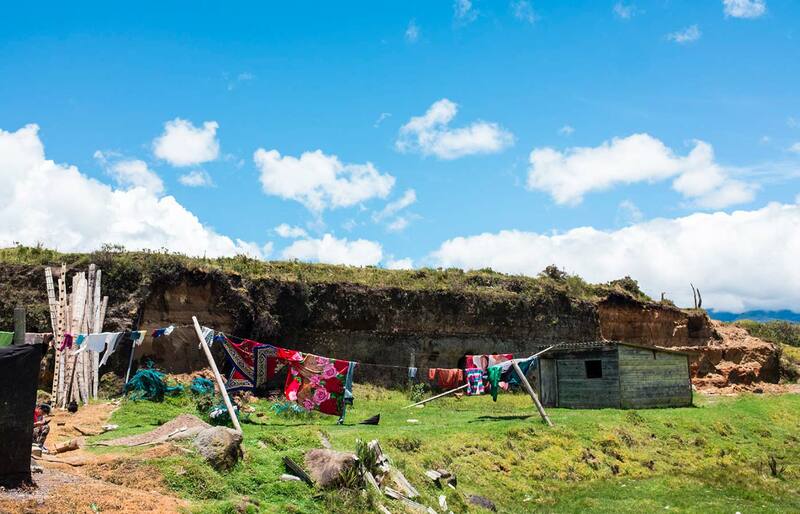 We visited the village of Silvia, inhabited by the Guambiano Indian tribe, the village of Suarez, where the descendants of slaves live, and archaeological sites of ancient Andean cultures. 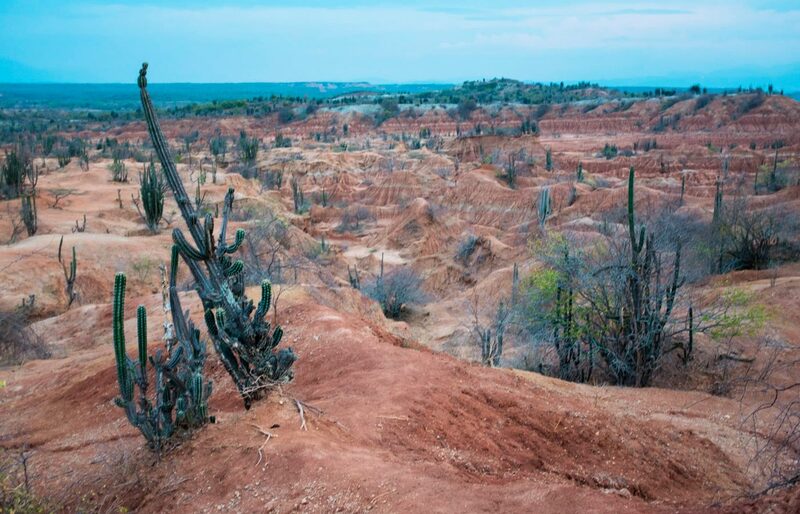 We have seen the Tatacoa Desert, rich in fossils and a destination favoured by astro-tourists, and cross the river Magdalena with a canoe. 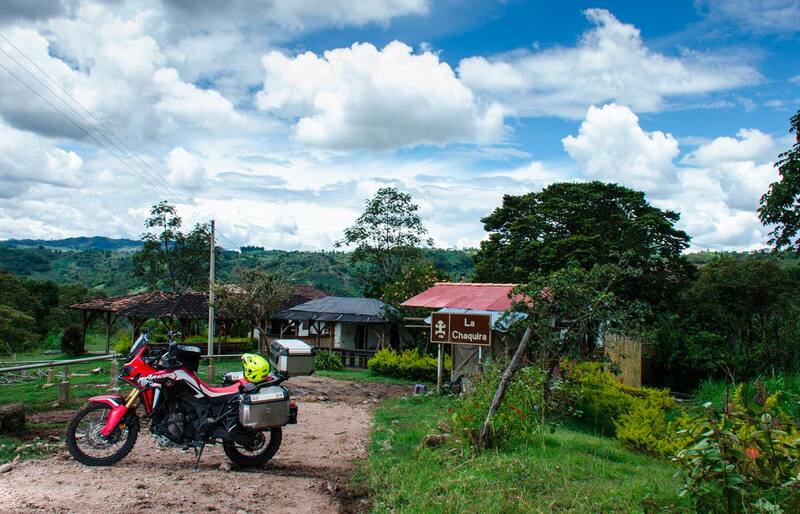 We reached the highest mountain passes, under the Nevados del Ruiz, the snow-capped volcano, with the ruins of the village of Armero, destroyed by the great eruption of 1985. 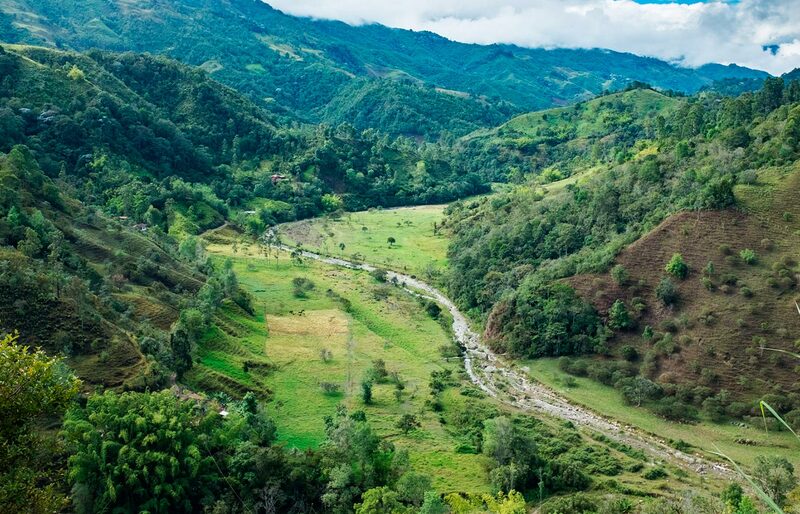 We dived in the many shades of green in the regions where the famous Colombian coffee is produced, in the valleys of Cocora and Cauca. We reached Cali, capital of the Salsa world and famous for its beautiful women. 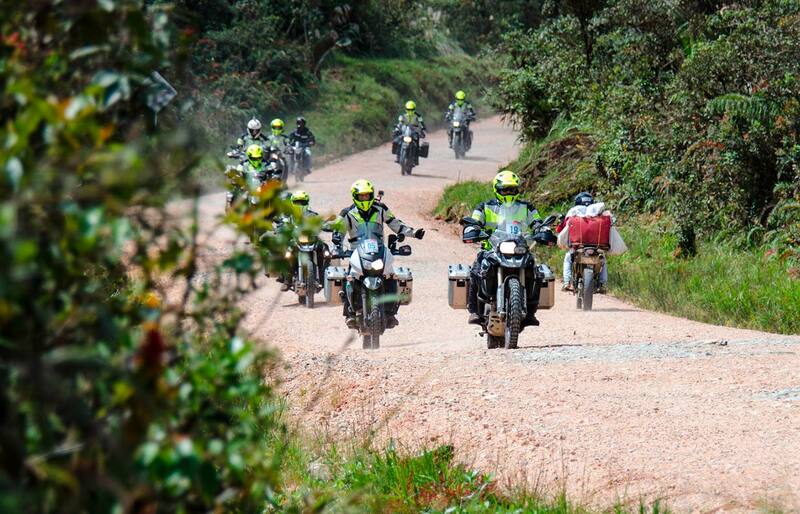 And we discovered that bike travellers like us, faithful to our motorbikes, make up a tribe of our own. 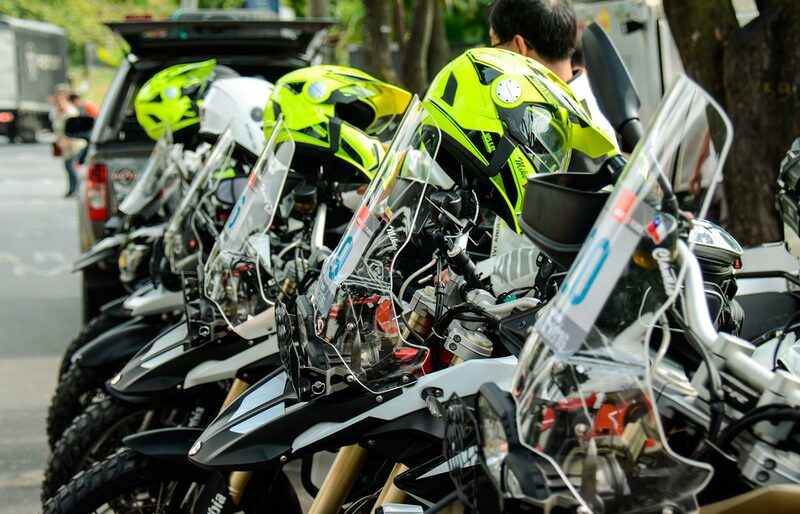 After the first briefing and delivering the clothes to all participants, which happened in the hotel Saturday evening, on Sunday the convoy of 24 motorbikes and two support vehicles left for the first destination. 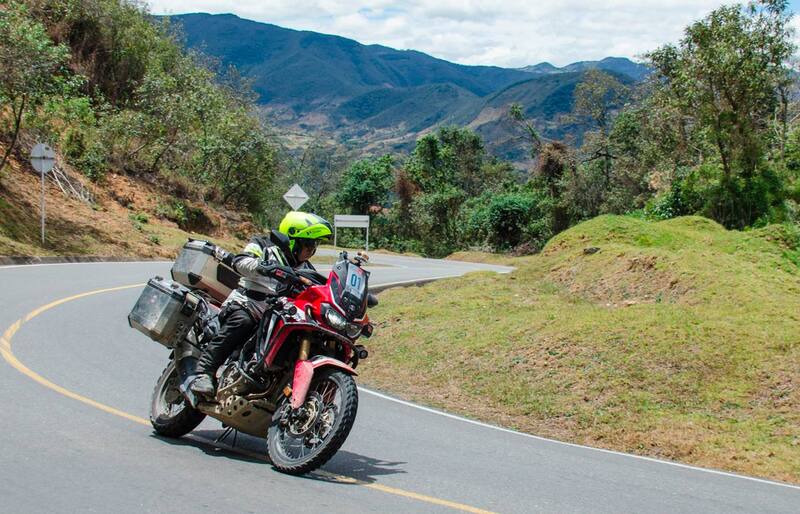 This first day, from Cali to Salento (260kms total) has been necessary to get acquainted with the vehicles and ‘clean’ the tyres, which will be tried to the limit by the Colombian bends and off-roads. Today unfortunately the weather has not been kind and in the afternoon the group had to face a heavy downpour which slowed down the pace a bit but it has also been the opportunity to successfully test the waterproof quality of the Hevik clothing that has been issued. Besides the low visibility the only real problem were the horizontal signs, i.e. the tens of lines, arrows and warnings painted on the tarmac: normally they do not create problems, but when it rains they transform into soap bars, making riding on two wheels really dangerous. The GIVI helmets also passed an unexpected test today: they can float. While the group was crossing the river Rio Cauca with the ferry, an inadvertent elbow movement pushed one of our HPS X.01 Tourer in the water. Luckily the young man who was ferrying us saw the accident and immediately dived to recover this yellow trophy! 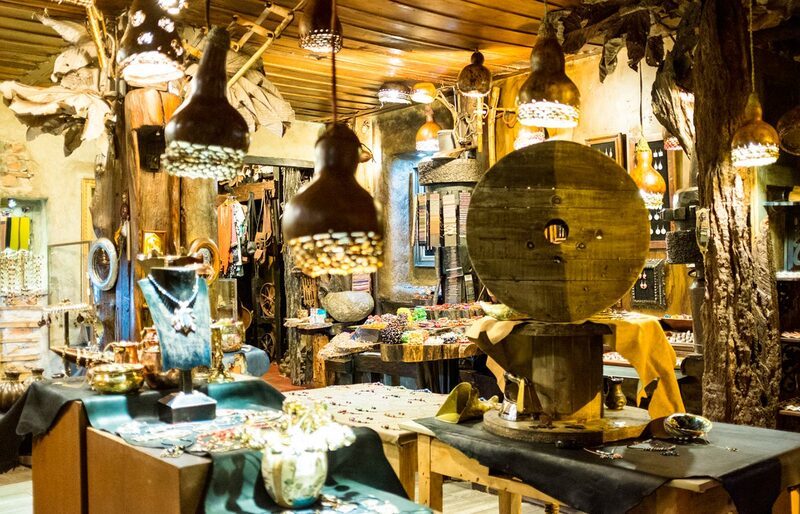 The day ended in Salento, the ancient coffee capital: for almost two centuries it was the heart of the commerce of these precious black beans, now it has transformed into a fantastic tourist destination with a slightly hippy flavour. The ancient part of the village is almost intact, also thanks to the fact that the heavy traffic of trucks that once passed here years ago moved to the modern highway that passes at the bottom of the valley. 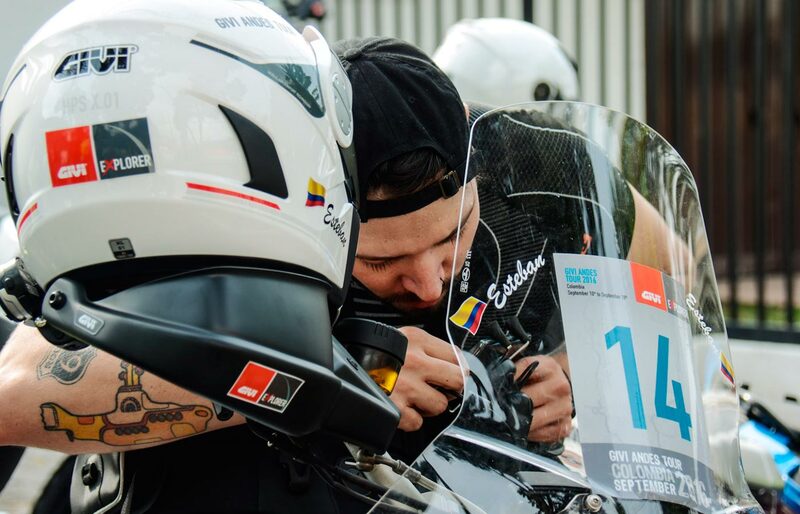 The second stage of the GIVI Andes Tour has taken the group from Salento to Honda, the northernmost destination of this year’s tour, for a total of just over 240kms. The day started with a visit to an estate (here called ‘finca’) where coffee is grown: Colombia is the world’s third producer after Brazil and Vietnam, and coffee is one of the main national resources. 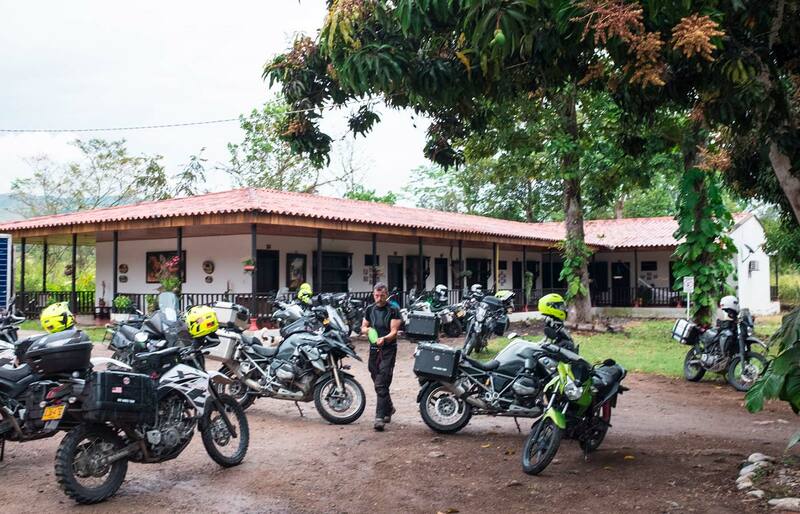 After savouring a nice cup of ‘top-grade arabica coffee’, the group got back into the saddle to cross the foot of the Andes, in the area of the Nevado del Ruiz glacier. After a couple of hours on roads with fast curves and perfect tarmac (every biker’s dream!) it began to rain. A first downpour slowed the group down and accompanied it till the lunch stop, but the worse arrived once we had to face the ascent to over 4,000 metres. Heavy rain and fog decided to get in the way and also the temperature dropped quickly, with the thermometer marking 4°C at the top of the pass. Luckily the descent was less ‘traumatic’, even if stressful due to the many trucks slowed down by the bad weather. Today’s final destination, as mentioned before, is the small and very hot city of Honda (at 7pm there were still over 30°C), which is north-west of the capital Bogotà. Here there is also the Navarro bridge over Rio Magdalena: it’s the first iron bridge built in South America, put in place by the same company that made San Francisco’s Golden Gate. Notwithstanding the bad weather the day has been a success because the quality of the itinerary triumphed over the elements and all the participants could talk about at dinner was about ‘braking points’ and ‘lean angles’. 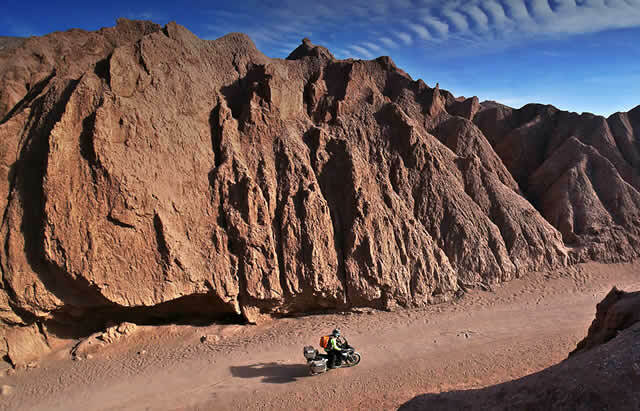 The third day of the GIVI Explorer Andes Tour has been characterised by very high temperatures and long off-road stretches. 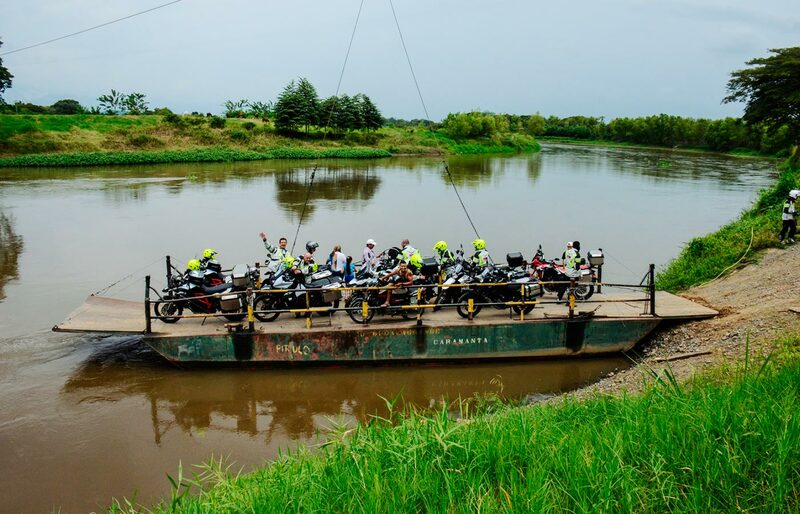 Today’s route has taken the group from Honda to Neiva (in the south), for a total of almost 360kms following upstream the river Rio Magdalena. As already mentioned off-road has been the protagonist of most of the kms of the itinerary: first a very long and dusty dirt track, which challenged the participants, then a second stretch definitely more technical but a smooth ride, mostly in the famous Tatacoa desert. 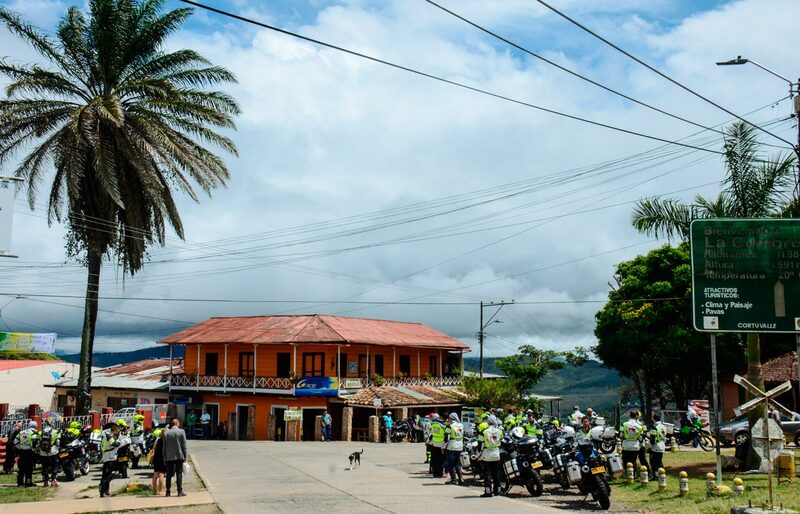 In the morning the tour guides wanted rightly to stop to pay tribute to the memory of the victims of the Nevado del Riz volcano, whose eruption in 1985 destroyed the village of Armero, in the province of Tolima. The tragedy was caused by a huge mud landslide generated by the sudden melting of most of the Nevado del Ruiz glacier after coming in contact with the scorching lava. Unfortunately the victims were almost 20,000, on a total population of 29,000. The site of the disaster was also visited by Pope John Paul II. In the afternoon the group split up, with only half of the participants deciding to go into the desert, doing an extra 70kms. Some falls but mostly the infernal heat (which reached 40°C on more than one occasion) forced the rest of the group to choose a shorter route on paved roads. 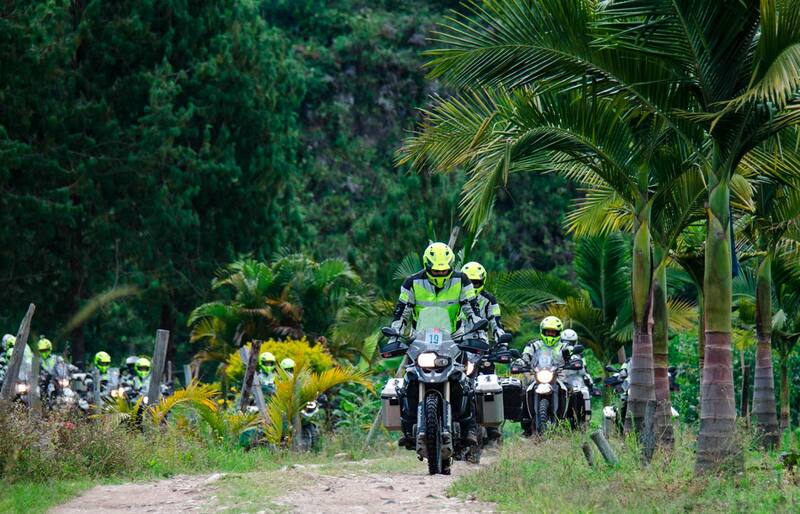 Those who chose not to give up and challenge the tiredness, humidity and infernal temperatures, were repaid by an unforgettable ride along the Colombian vegetation up to the red rock formations of the Tatacoa desert. An unforgettable experience that for many will surely be the height of the whole trip. 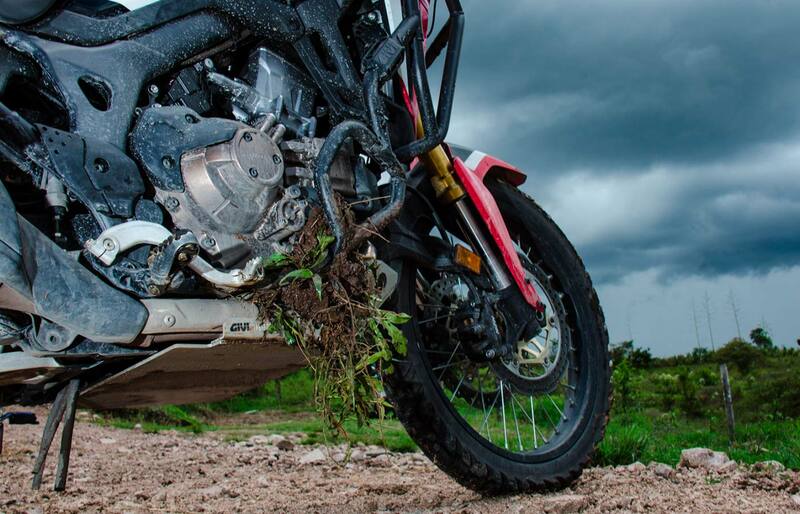 After yesterday’s heat and desert, today has been a long and difficult one for the GIVI Explorer Andes Tour group, riding under constant heavy rain. 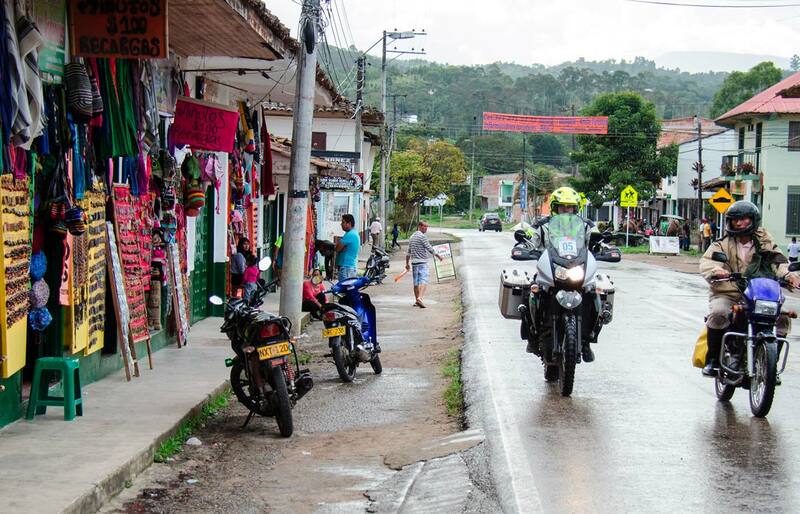 Today’s itinerary has taken us from Neiva to San Augustin, for a total of 225kms. The day started late, with the departure postponed until 11 am while we were waiting for the incredible downpours, which hammered the area of Neiva all night, to subside. The break lasted less than an hour, and soon the whole convoy was wrapped in a cloud of water that slowed it down due to the slippery road and limited visibility. Even the two stretches of motorway planned for the day were totally avoided, because transformed into deep muddy bogs by the incessant deluge. 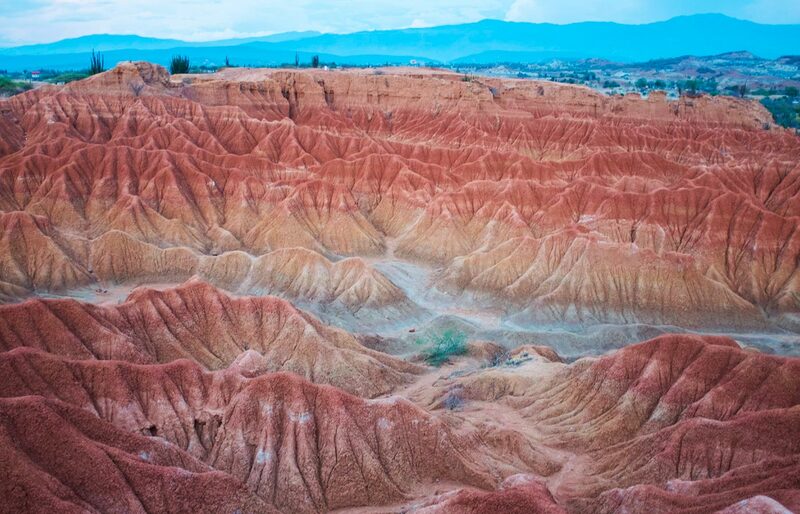 On the whole not exactly a great day, even if the Colombian landscapes never fail to thrill us. 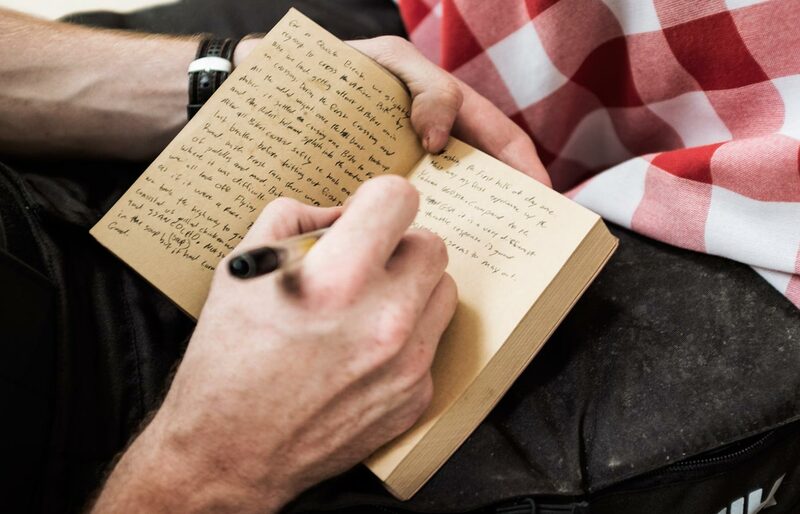 The participants arrived with the dark in San Augustin, dead tired and soaked to the skin, but a nice dinner and the knowledge that tomorrow will be dedicated to rest revived the group’s spirit. 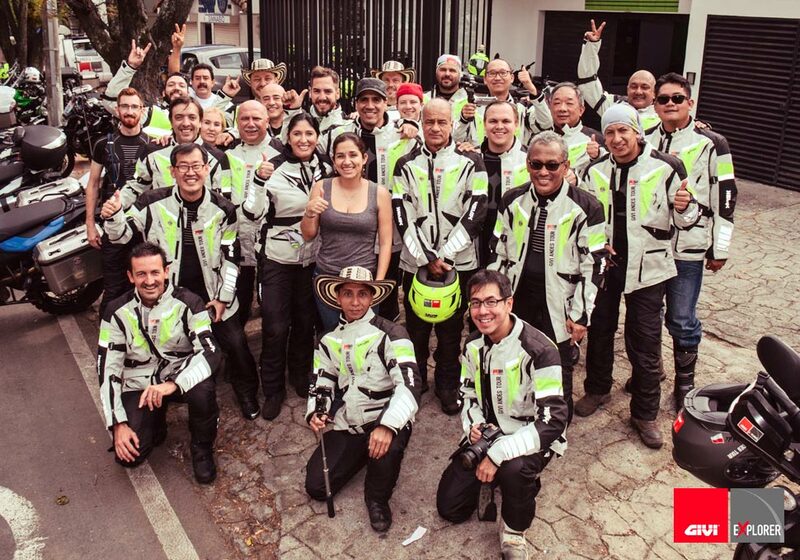 After the long day yesterday under the rain, the GIVI Andes Tour group today enjoyed a well deserved rest. Still, the day has been very interesting, from a cultural, traditional and food perspective. 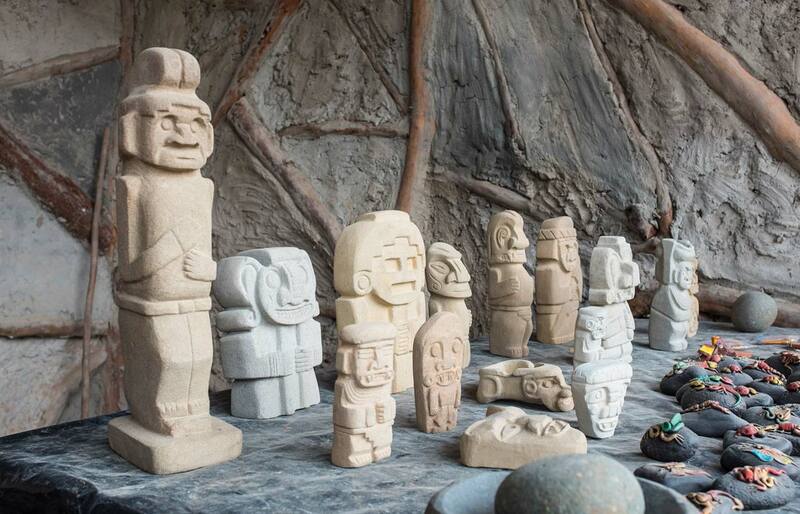 The village of San Augustin is famous for its monolithic Pre-Columbian statues, very similar to those on Easter Island. 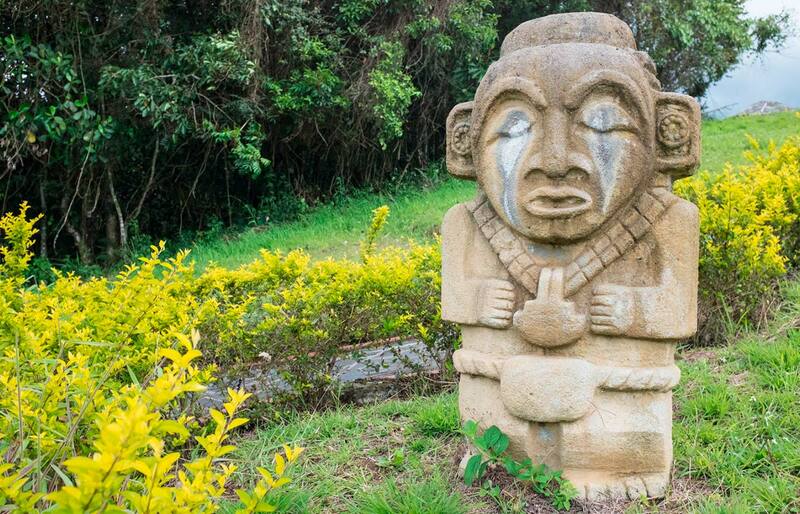 The were carved in the rock by an ancient civilisation which we still know very little about, except that it had already completely disappeared long before the Spanish Conquistadors arrived in Colombia. 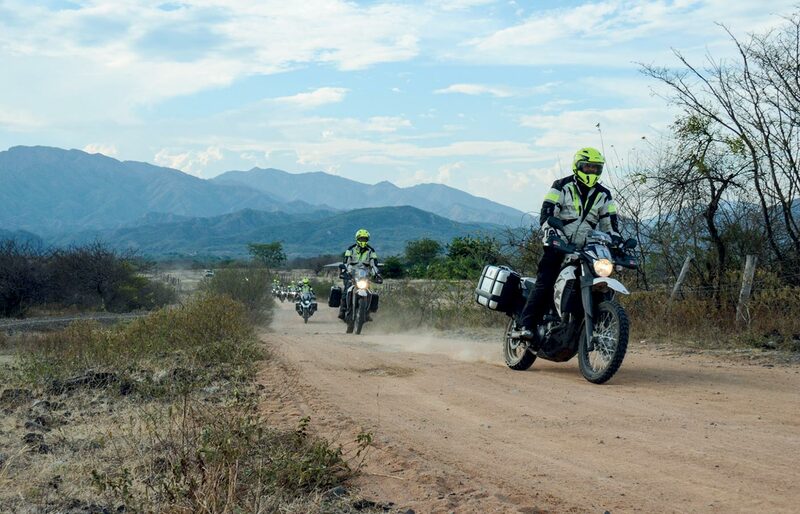 While most of the group spent the morning visiting the archaeological sites, a few die-hards still chose to get back in the saddle and do some off-road in the wild Andes. 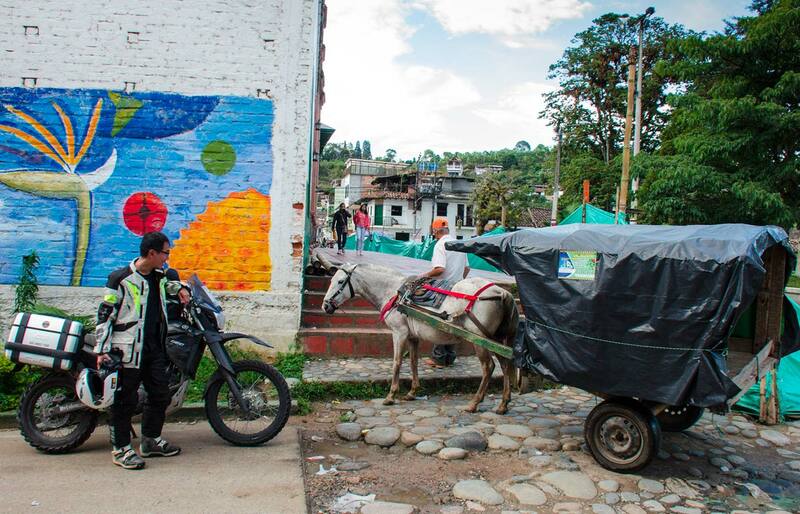 In the afternoon some finally rested, some went horse-riding and some simply roamed around the colourful streets of the village, daring a few short downpours. We all reunited for dinner, for a traditional meal of rabbit and cury, a tiny wild pig. 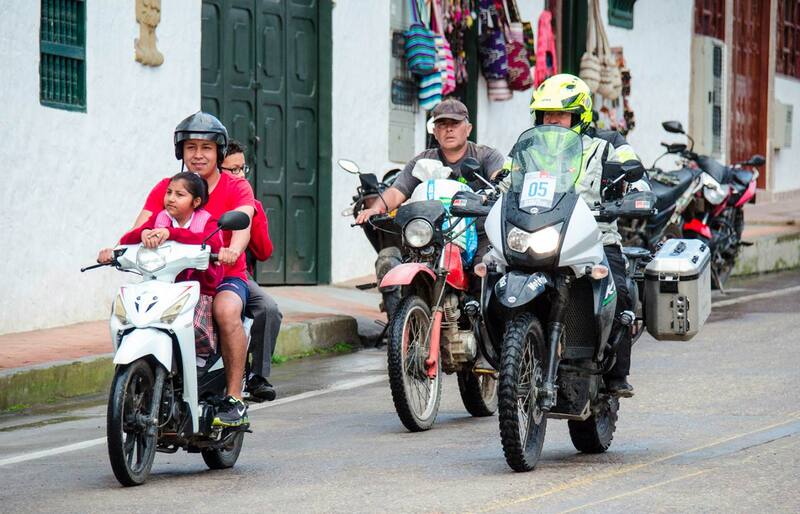 Tomorrow we’re back on our bikes, on the road for Popayan, the white city. 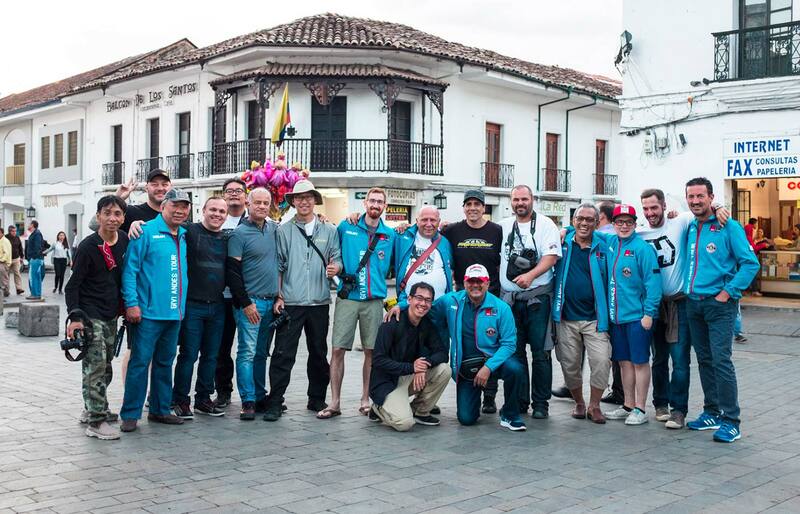 The last but one stage of the GIVI Explorer Andes Tour took the group from San Augustin to Popayan, the ‘Ciudad Blanca’. 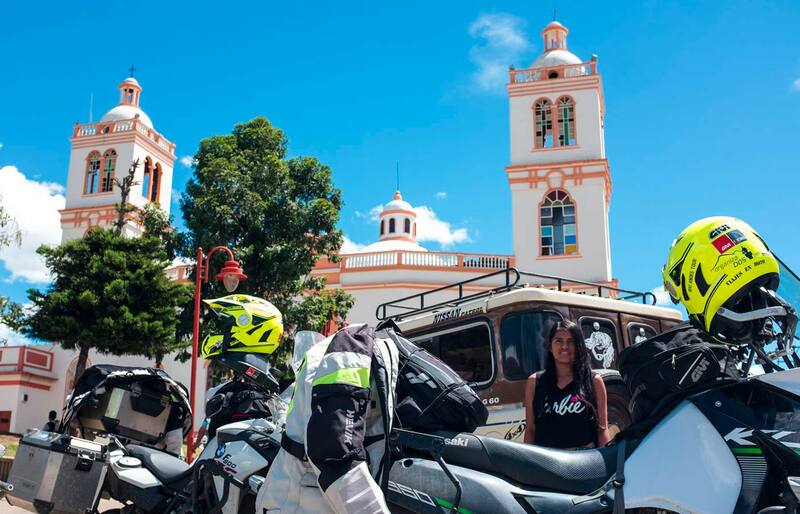 The 135kms of the itinerary may not seem many at first glance, but over 50 were off road, through forests at the foot of the volcano Puracé at an altitude of over 3000 metres. 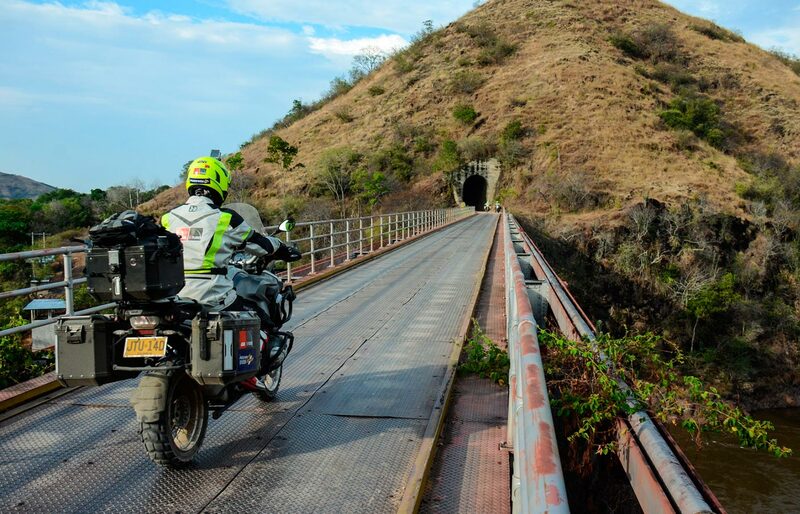 A challenge that saw a few falls, a puncture and a few mechanical failures. But the beautiful day and the remaining 85kms of twisties and bends through breathtaking scenery immediately made us forget the morning’s difficulties. 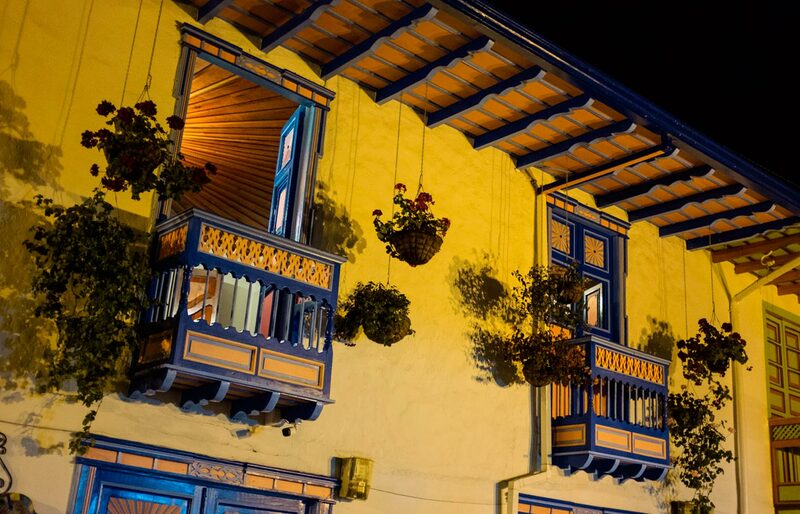 Popayan is called ‘Ciudad Blanca’ due to the colour of its great many churches and practically all the colonial houses of the city centre. 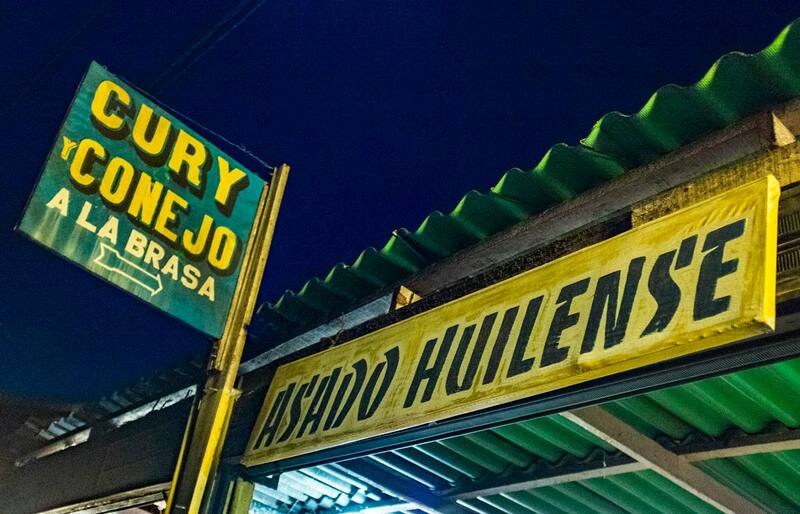 It is home to the oldest and most famous Colombian university, the Universidad del Cauca, and it has contributed massively to the political life of the country, seen that 17 presidents of the Colombian republic were born here. 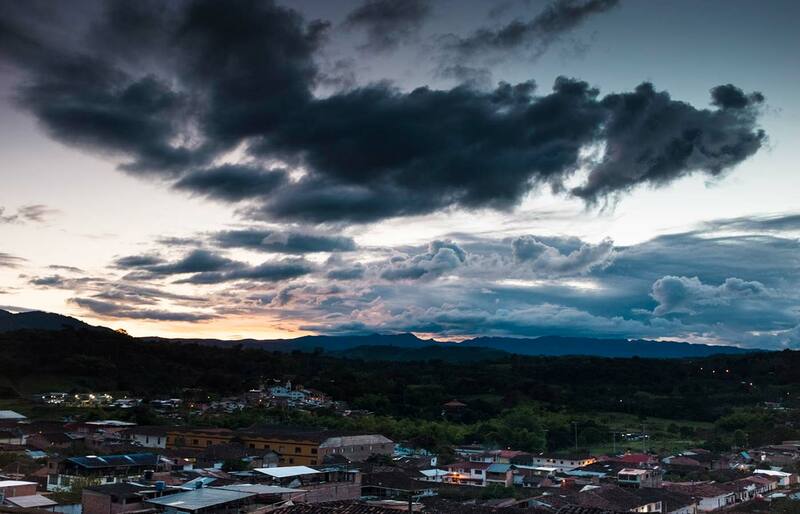 Popayan, founded by the Spanish Conquistadors in 1537, had actually been an Indian village of some centuries before. 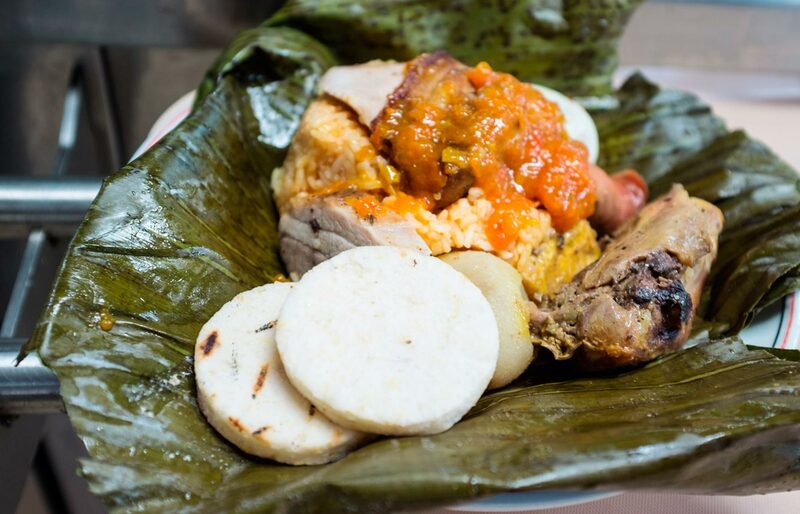 In these last years it has received various recognitions from UNESCO for its cuisine and for some events such as the Holy Week Procession, but looking carefully you can notice that most buildings are recent, even if still built in the typical colonial style. 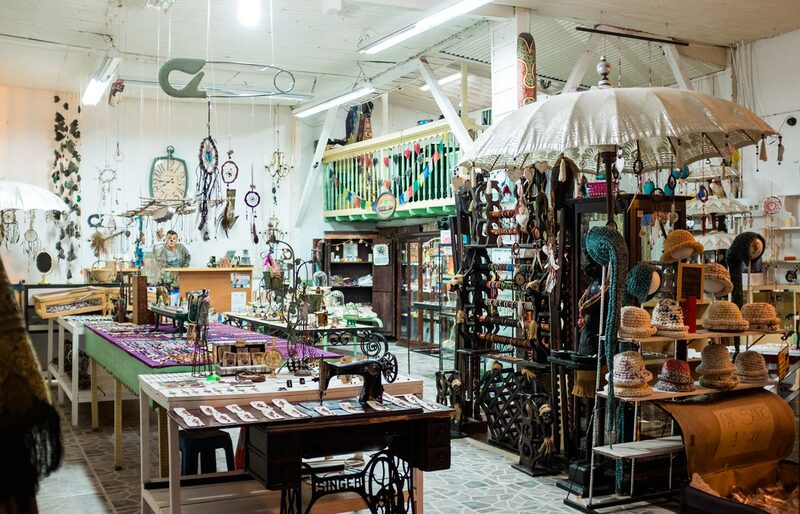 The whole city was in fact almost completely destroyed by a terrible earthquake in 1983. 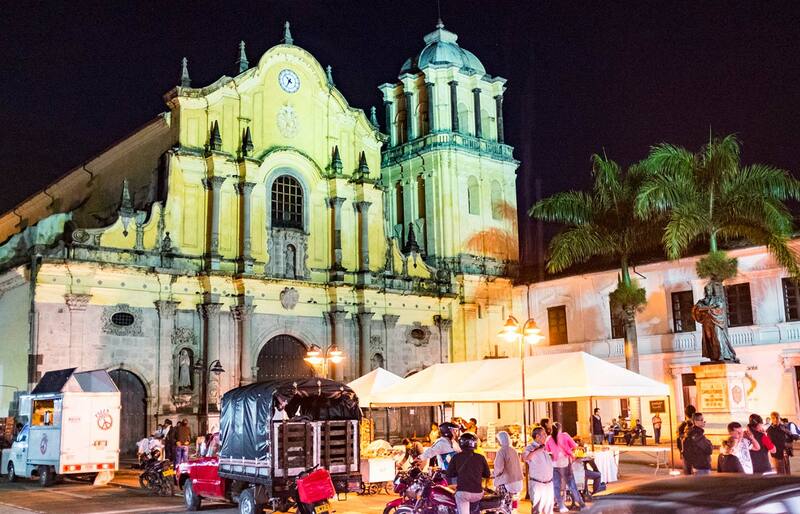 It still remains a magical place, full of life and young people, whose symbol is undoubtedly the Catedral Basilica de Nuestra Señora de la Asunción and the Humilladero bridge. 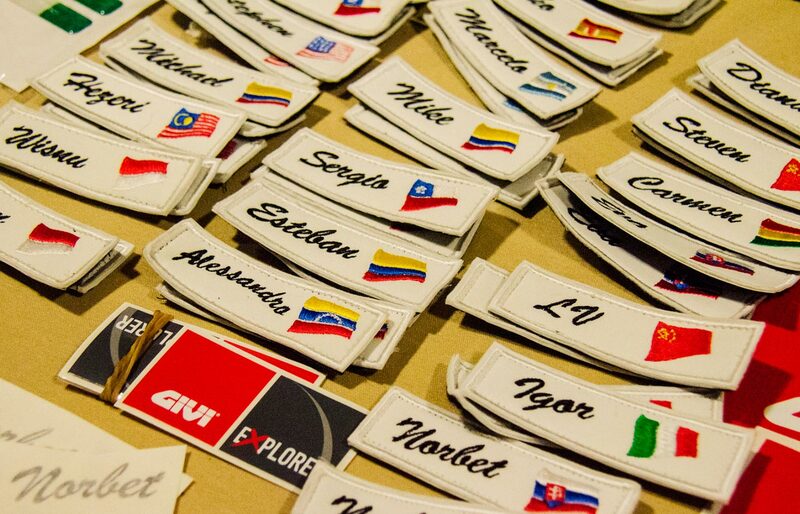 Today the group rode the last 230kms of the GIVI Explorer Andes Tour 2016. An infinite series of curves welcomed the travellers up to the small village of Silvia, famous for its picturesque inhabitants. 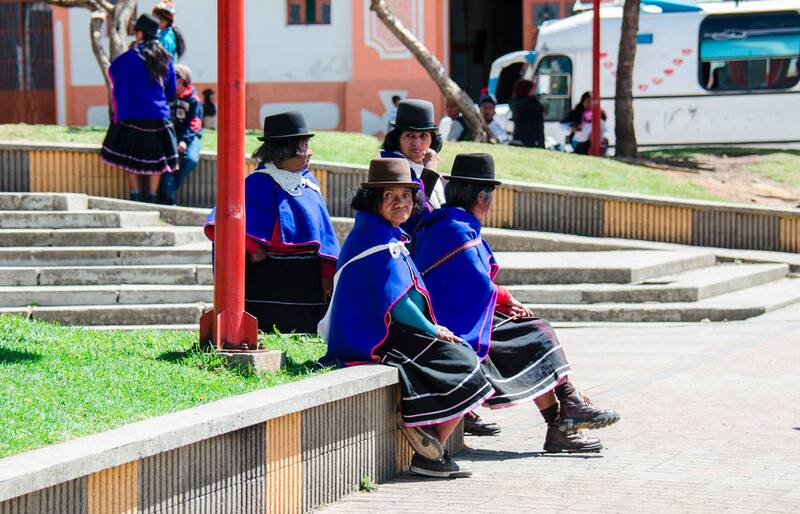 Actually they are members of local tribes who come down to the village for the market, especially on Saturday, wearing their traditional Andes costumes. They are generally very shy and difficult to get close to, but seeing so many bikes all together generated such curiosity that their natural mistrust subsided and a few of them let us take pictures in the end. 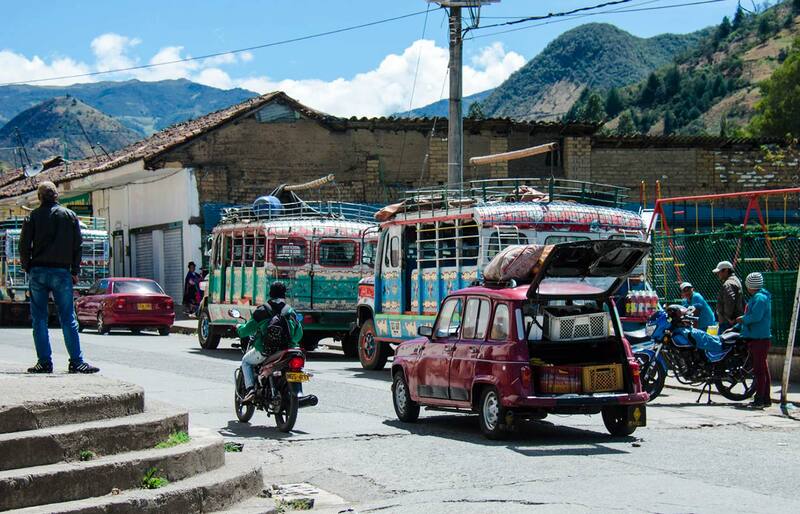 From there the day’s itinerary brought us to Cali, start and end point of this Andes Tour. 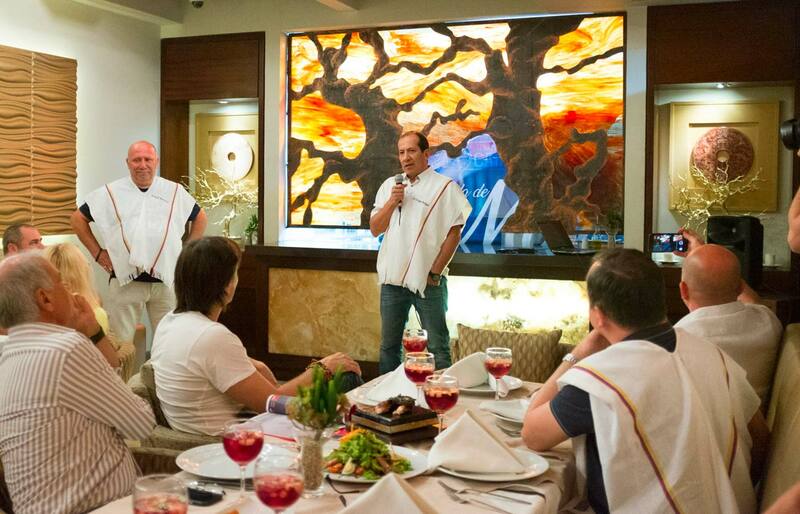 As a grand finale we were offered a gala dinner, with gifts of traditional costumes for everybody and a salsa performance of the local office of the association Pro Colombia. The team is on the road!